It’s time for another great Smart Saver this Sunday. This time we picked out two stores where you can save a lot of money. First of all we start with the Army and Navy Store on Cordova St. This store is one of the oldest in Vancouver and has been there for ages. 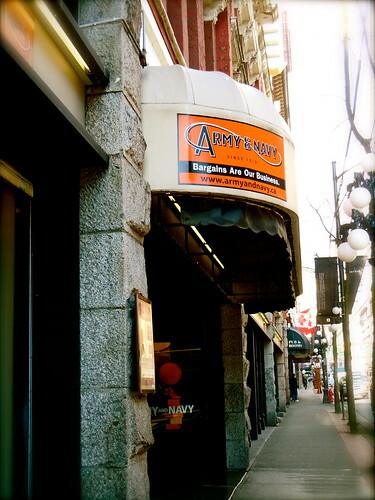 The Army and Navy Store is not only a place to buy clothes and furniture, but it’s also worth a visit when you are searching for cheap food and drinks. You can get there a whole package of Chocolate Cockies for $1.50 or a cold drink for $1-2. The next time that you are in downtown make a short stop at this awesome place! The next store is called Sport Junkies and it’s located on 102 West Broadway. 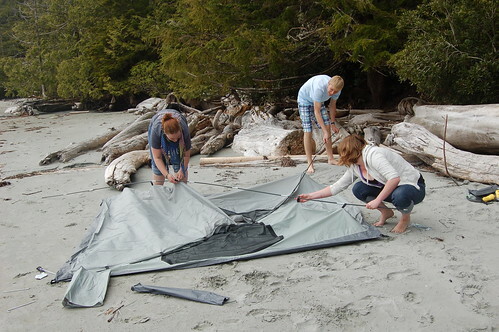 At Sport Junkies you can get really cheap outdoor cloth and equipment. Also you can try to sell your winter jacket and all the other winter stuff you have there. Their have an amazing collection of running shoes, hiking shoes and much more. Check it out. We hope you all had an awesome After Rockies Party and we will see you all on Wednesday for another fun PuB NiGHT. INTERNeX Canada: Smart Saver Vancouver! Today I want to talk about a super cheap store: NoFrills. If you think that some of the big supermarkets like Safeway or WalMart are to expensive? Try this one! What do you think about 2 liter soft drinks like Cola or Fanta for only 88ct? But there is a lot more.. Different flavors of Potato Chips for 97ct, Hershey’s Or Cadbury Chocolate for 67ct and Loacker Biscuits for $1,97! These are not the only discounts. If you have some time go check it out! You will like (the prices) for sure! As you all know, Vancouver is an expensive city to live in. Therefore we give you today an interesting tip about how you can save money! Namely recommending the Army & Navy store. In this store you can buy almost everything for a very affordable price. You can buy groceries, clothes, cleaning stuff, accessories for in house, all you need in the kitchen, care products and even more! Last week I was looking for an European adapter but I could not find it. And after visiting many shops I found it at the Army & Navy store for only $1. check the folder with special offers of this week! Hi people, I hope your weekend was as good as mine, because I had a great weekend! On Friday we went with some INTERNeXers to Malone’s to watch the Canucks play against the Chicago Hawks. We were in the bar already 2 hours before the game to make sure we had a spot to sit, however when we walked into the bar it was already packed!! Luckily we still got a spot at the bar in front of the big screen, so we could watch the game. It was an exciting game and OF COURSE the Canucks won with 4-3!! After the game, some of us went to a club and others went to another pub to celebrate the victory!! On Saturday Elvera, Roy and I went to the Holland Store in New West Minister. 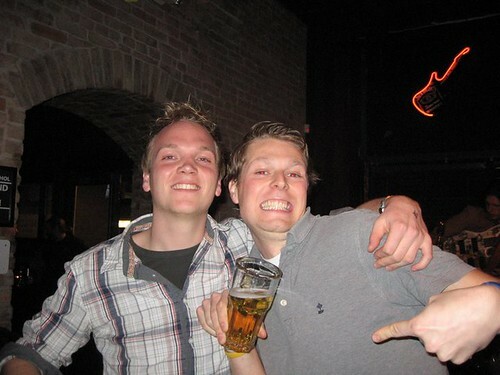 We have all been here for quite a while now and now we start to miss the real typical Dutch food! In this store you can buy almost everything they sell in a normal Dutch supermarket, so Elvera, Roy and I were like kids in a candy store. 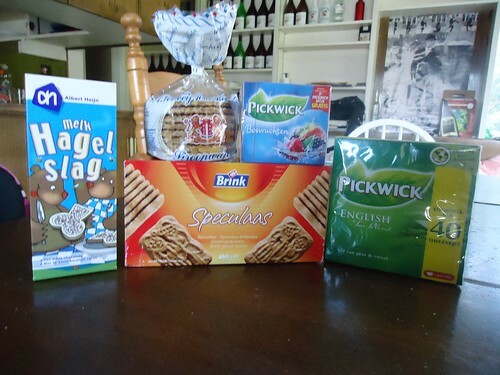 We bought frikandellen (meat), ranja (squash), speculaas (cookies), Dutch tea, paprika flavored chips and more. So, for everyone who is Dutch or just loves Dutch food, you should really go there! My weekend ended with a relaxing Sunday. I was just enjoying the weather and chilling in a quiet staffhouse, which is not really common if you live with 18 people ;). Get a Behind the Scenes look at the GM Centre! Follow in the footsteps of the world’s greatest athletes and entertainers with a “behind the scenes” tour of Vancouver’s state-of-the-art arena, General Motors Place. Our tours offer an intimate look at the facility – where your favourite players get ready for the big game where world-class entertainers prepare for their performances. There is also the opportunity to see the spectacular sightlines from the press area and private hospitality suites. 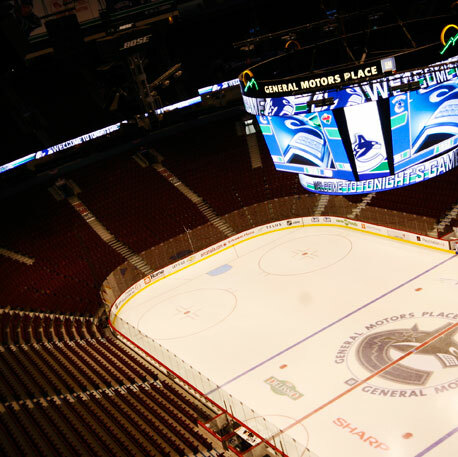 Included with your tour are interesting facts and stats on General Motors Place, as well as information on Vancouver’s professional team: the Vancouver Canucks of the NHL. Enjoy the presentation in comfort from the seats in The River Rock Club or in one of their restaurants the Wiser’s Centre Ice Grill. A General Motors Place tour is a “not to be missed ” opportunity for visitors to Vancouver, as well as locals! No tour would be complete without a stop in our specialty gift gallery, the Canucks Team Store; loaded with marvelous gifts and memorabilia for others or even yourself. This is the last week for tours on Wednesdays and Fridays with tours beginning at 10:30 a.m., 12:00 noon or 1:30 p.m. The tour entrance at General Motors Place is at the Gate 6 Canucks Team Store located on the corner of Abbott Street and Pacific Boulevard. Tour rates are $10.00 for adults, $7.00 for seniors, $7.00 for students, $5.00 for youth (4-12 years old) and no charge for children under the age of 4, plus we also offer a family rate of $25.00 for a family of four. Group discounts are available for groups of fifteen or more for a flat rate $5.00 per person. Please book your groups at least 48 hours or 2 business days before the tour. PLEASE NOTE: TOURS WILL NOT OPERATE ON FRIDAY, JUNE 11. For more information on other available tour dates, please visit the GM Centre event calendar page. Have fun checking out this venue! Celebrating the Tastes of Toronto! If you love food and are working or completing your internship in Toronto – then this is for you! This weekend, get ready for the Salut Wine + Food Festival! It’s been on since May 8 but you can still check out the action tonight and tomorrow! Toronto’s premier wine and food festival offers a week of exciting and unique events designed to bring you up close and personal with leading local and international winemakers, chefs, food producers and gourmet trailblazers. This year’s mission is to deliver exemplary experiences at a great price, and Toronto has challenged international winemakers, celebrity chefs and some of their best restaurants to pull out all the stops. While Salut provides an event for every taste and budget, they also have a few surprises in store — rare opportunities for gourmet experiences that will never be replicated. 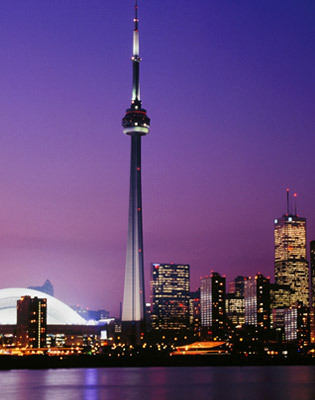 So go sample Toronto’s incredible flavours, people and rhythms. Celebrate their talented purveyors and world-class gourmet ambassadors. You’ll discover something new, guaranteed — about yourself and your city. And it will be very, very tasty! Click here to visit the website with pricing details!